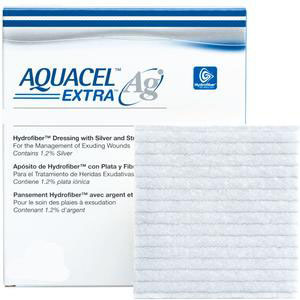 AQUACEL Ag Extra hydrofiber antimicrobial dressing, 4" x 5". Locks in exudate and traps bacteria. Helps protect periwound skin and reduce maceration. May help to minimize wound and crossinfection during removal.